Another good place in North Beach to grab a quick bite. 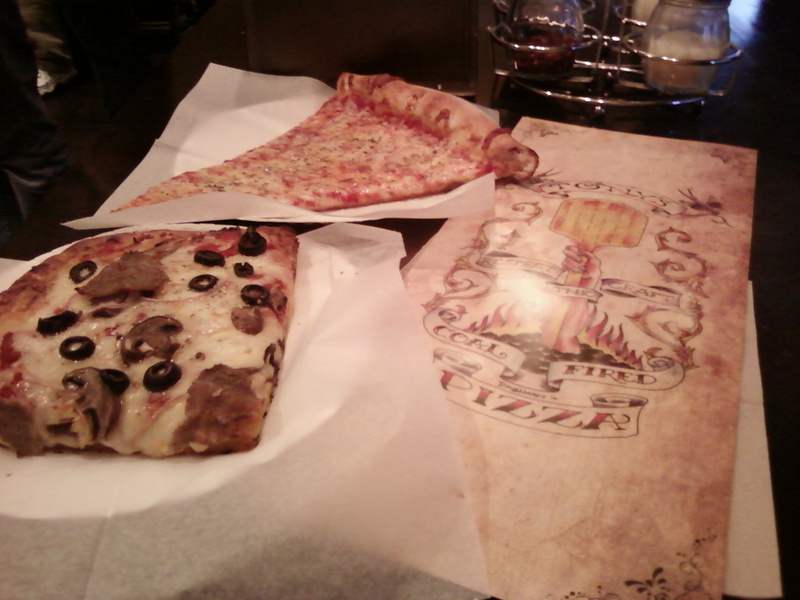 Good pizza. Almost no wait. Hot slices! Oh the pizza… I think the pizza photo is mesmerizing me to want pizza right now lol. Just let me visit California, I’m so looking you up lol. Well…that banana cream pie looks so yummy. I don’t even like bananas. Lol. But oh I will eat a slice of it.